Perhaps you recall a few months ago when I posted about the built-in bunk beds in my little boys' bedroom. 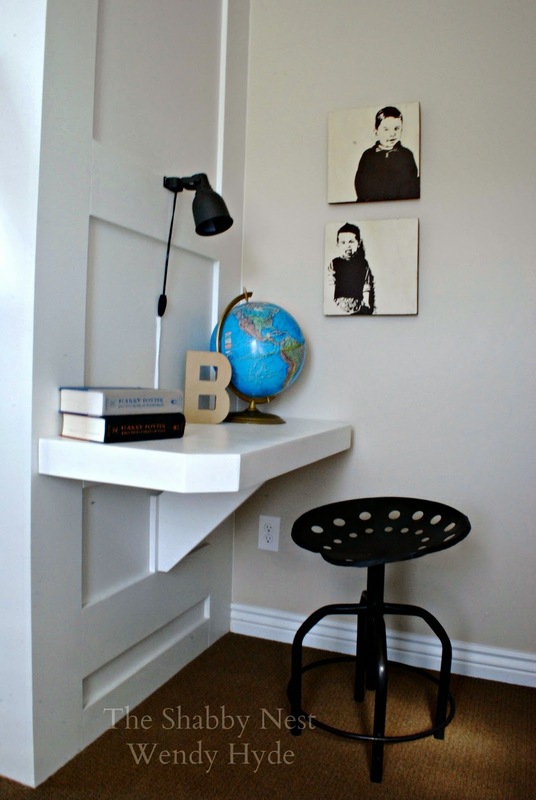 One of the things that I was hoping to accomplish with the built-ins was to create a room with space-saving solutions so that if feels bigger than it actually is. The bunk bed went a long way toward accomplishing that. 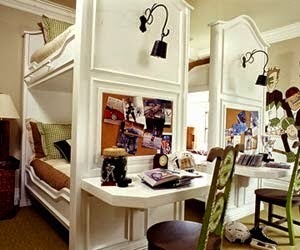 But I also wanted to create a work area, and adding a desk to the end of the bunk beds was the perfect way to do that. You may also recall from that post, that I got my inspiration from this photo that I had saved from Better Homes and Gardens several years ago. Well, I shared the photo with my friend Tim from Millworks Woodworking who created the perfect desk for me. I'm so happy with how this cute little desk turned out. I just know that my boys' will get years of use out of it! Such a great solution Wendy! 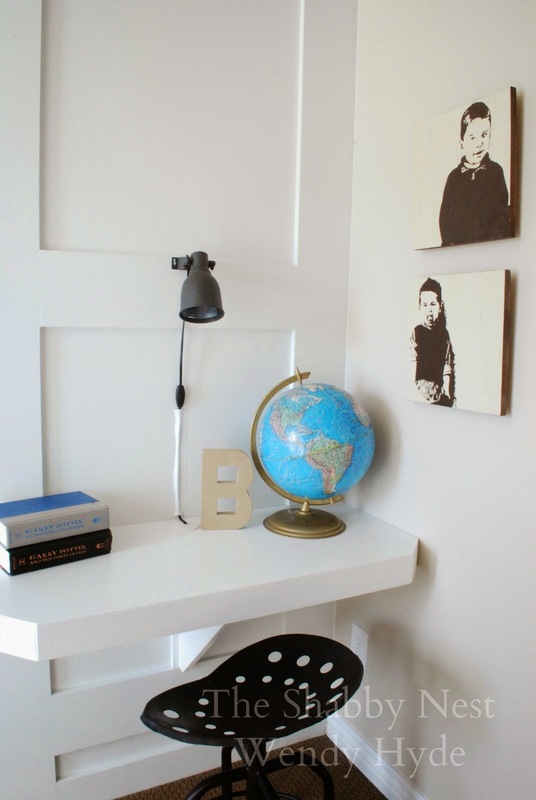 I know how hard is to find space for everything in a small room. I had a same problem with my son`s room. This is very clever and practical idea! What a great desk! 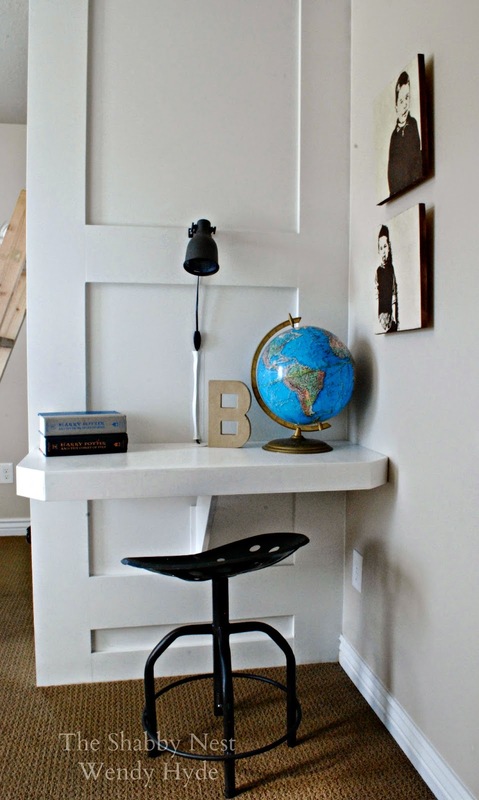 Perfect space saver for a small room!! !